If ensuring the safety of employees that work alone is a concern, GeoPro makes it easy. 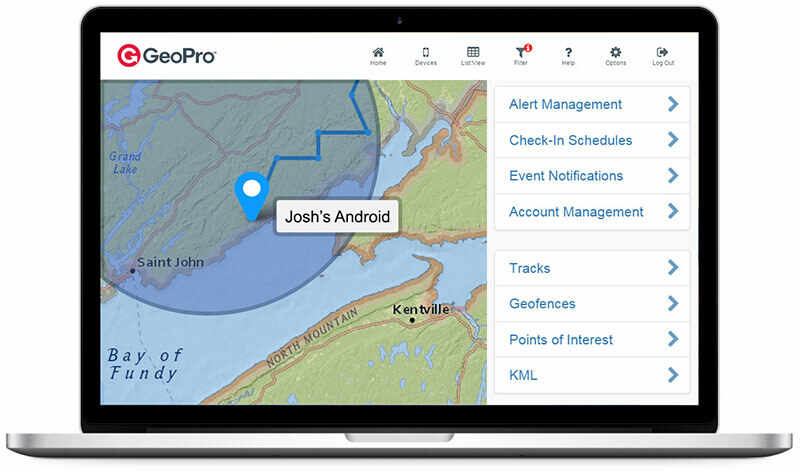 GeoPro is a complete lone worker safety solution that helps organizations more effectively monitor employee well-being and respond to missed check-in, emergency, man down, and crossed geo-fence incident alerts. Uniquely, GeoPro is compatible with a variety of satellite-based lone worker devices and a mobile app for smartphones, and is easily configured to your preferred safety procedures. Simply set up your emergency contacts, escalation procedures and the types of safety alerts you want to monitor, and let GeoPro take care of the rest. Whether employees work within cellular coverage or the most remote places on Earth, with GeoPro you’ll have a two-way system of communication and the peace-of-mind of knowing that anyone working alone can check-in, or obtain assistance in the event of an emergency -- anywhere in the world. Together with the global alert monitoring service and your choice of lone worker safety device, GeoPro is a turn-key solution that can be easily adapted to your OHS procedures, and quickly deployed to ensure the safety of lone workers. Backed by Roadpost solution experts, we make it easy so you rest easy. The secure GeoPro web app supports global real-time monitoring of the well-being of employees and can be easily configured to your preferred lone worker procedures. Equip employees with your preferred satellite-based lone worker safety device and monitor their well-being anywhere in the world, even where there’s no cell service. 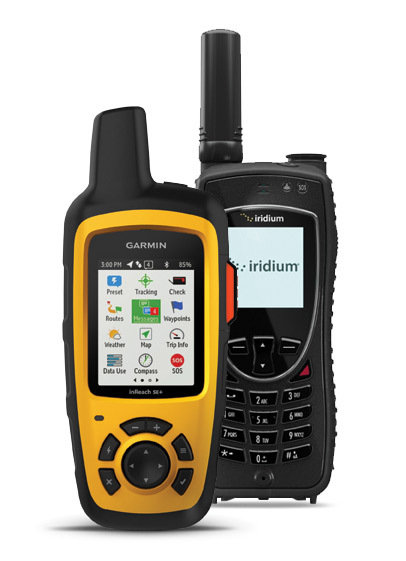 GeoPro is compatible with inReach, Iridium Extreme and other satellite-based devices. 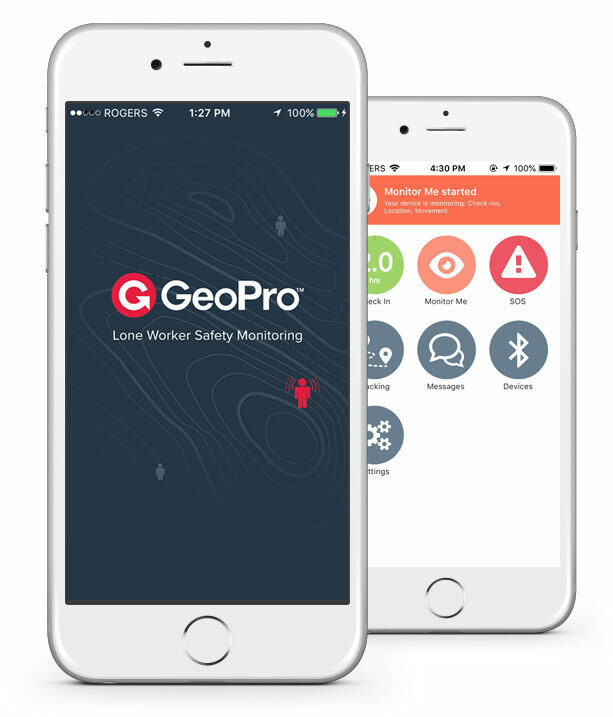 For lone workers with access to reliable cellular coverage, the GeoPro Mobile App turns any smartphone into a lone worker safety device, with easy check-in and emergency alerting. Rest easy. 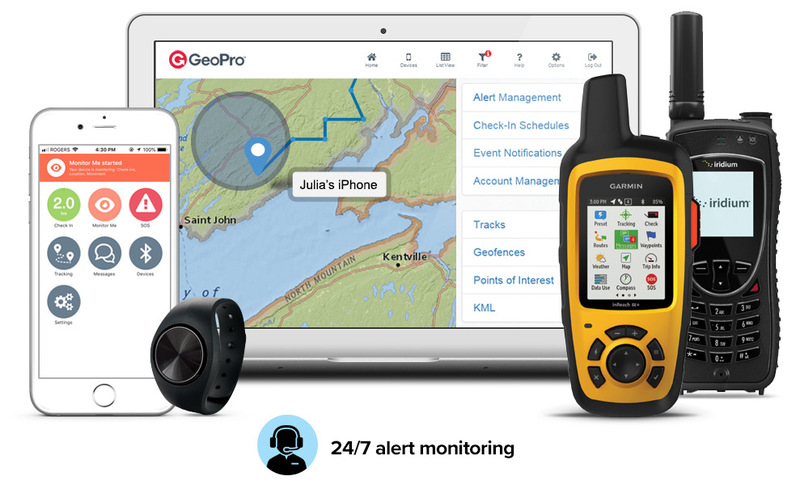 GeoPro includes 24/7/365 global incident alert monitoring, and response, at no additional cost. Our expert alert monitoring partner, GEOS, will stand watch around-the-clock so that you don’t have to.